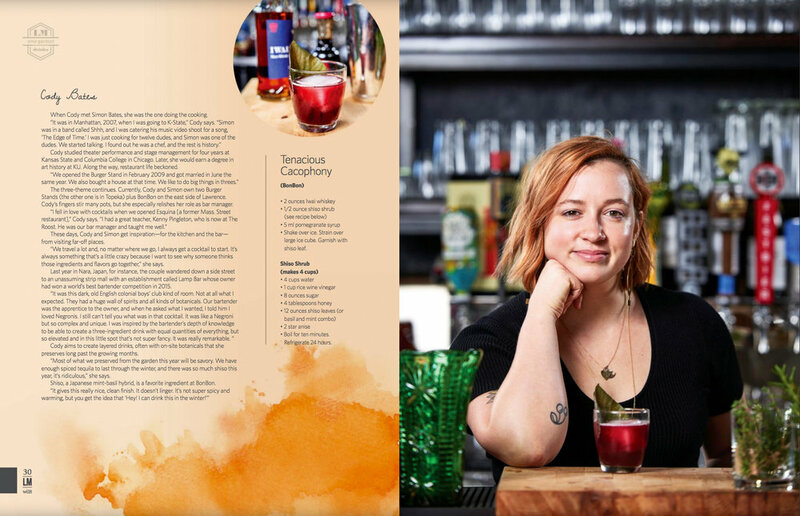 For the winter issue of Lawrence Magazine, I photographed three local bartenders making their own specialty cocktails. I taste tested the drinks at the end of each photoshoot and gave all three the “B. Goodman thumbs up”. It was a tough assignment, but I managed. Click an image to see the spread. recent works, behind the scenes, and other interesting ramblings about the wild and woolly life of a freelance photographer..